Now in its 21st year, the upcoming United Nations Association Film Festival (UNAFF) is set to show 60 documentary films from around the globe. 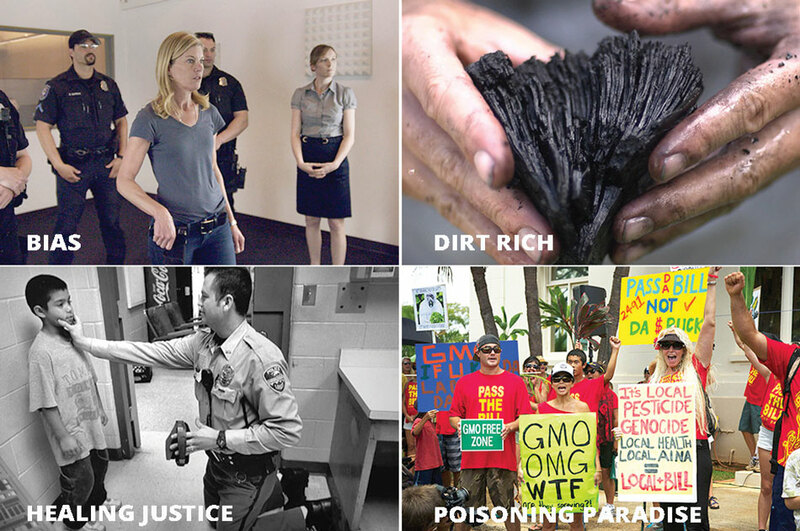 From an exploration of strategies to return carbon to the soil and stop global warming to an examination of unconscious bias to a look at the American justice system’s impacts on marginalized communities, each film calls on viewers to ask ourselves how we will move forward from the issues holding us back or actively threatening our future. Will we have the courage to come together and take action? UNAFF opens Thursday and will have screenings in Palo Alto, East Palo Alto, Stanford and San Francisco through Oct. 28. “This year’s theme, ‘TOMORROW?’, continues our two decades-long celebration of the Universal Declaration of Human Rights, emphasizing the complexity of our current moment, while exploring possible paths emanating from it into the future,” said UNAFF Founder and Executive Director and longtime Stanford educator Jasmina Bojic. In “Dirt Rich,” Berkeley-based filmmaker Marcy Cravat argues that the only chance we have to save the planet from the effects of climate change is to put carbon back into the soil through regenerative agricultural practices, reforestation, and protection of carbon-rich wetlands and key animal species. These strategies, she said, don’t require innovation so much as collective will to make changes. “The answers are in front of us, but it’s never going to work if people stay asleep to their responsibilities for making it work,” she said. The film screens a week from today at 9:10 p.m. at Stanford University’s Encina Hall. The documentary screens Monday at 8:10 p.m. at Mitchell Park Community Center in Palo Alto. “Healing Justice” is the latest film by Oakland filmmakers Shakti and Rick Butler and their team to deconstruct the systemic nature of racism in our society, this time focusing on the failings of the American justice system. The documentary addresses the school-to-prison pipeline and argues for criminal justice reform that stresses healing and restorative practices. “If we don’t figure out another way to do more than punish – and also we don’t look at the economic underpinning of what prison does – we lose people,” she said. The film screens this Saturday at 8:05 p.m. at the Midpeninsula Community Media Center in Palo Alto. Visit www.unaff.org to learn more about the 11-day festival and how to purchase tickets.